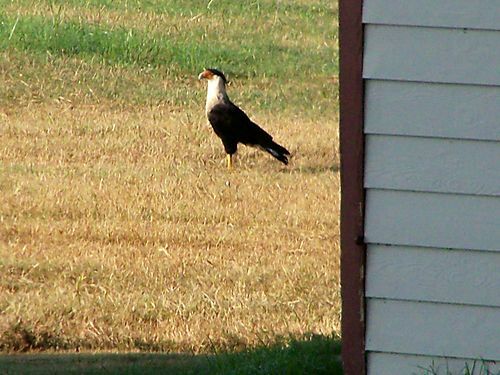 This is a Crested Caracara, or Mexican Eagle. The pair that live in our area hang out in our fields after we have cut the hay. They dine on carrion and will chase the buzzards away. They are really majestic looking.